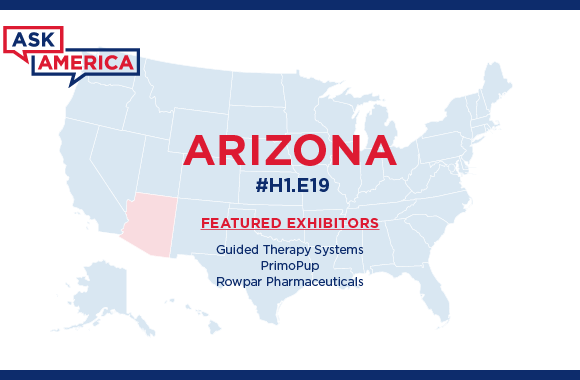 the USA Partnership Pavilion at AH2019! Looking for solutions that lead to better healthcare outcomes? 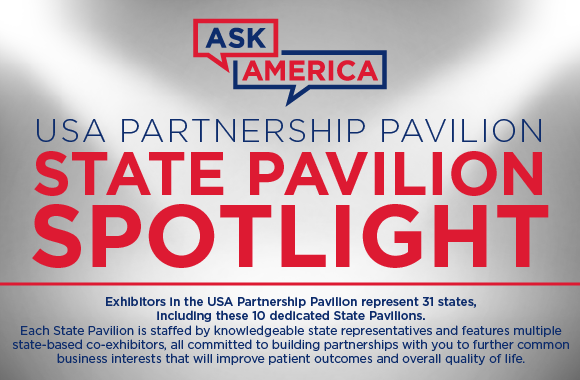 ASK AMERICA in the USA Partnership Pavilion at ARAB HEALTH 2019. 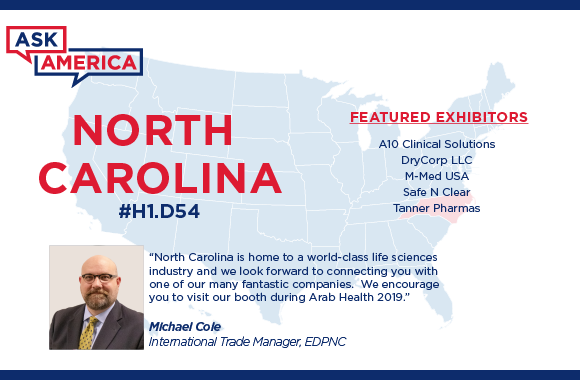 Among the many reasons to visit Arab Health at the Dubai World Trade Centre this January, the USA Partnership Pavilion features America’s most innovative partners, products and services. 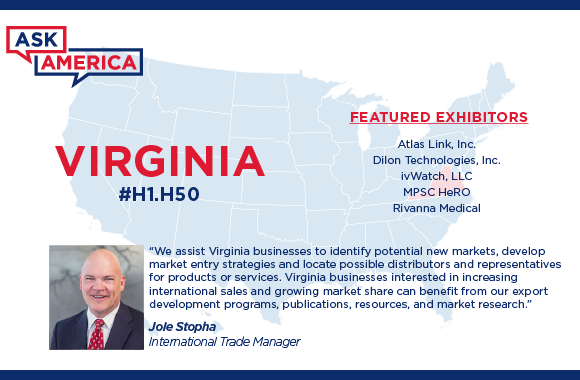 More than 270 American companies will exhibit at this year’s event in the USA Partnership Pavilion, in coordination with government agencies, including the departments of Commerce and State. 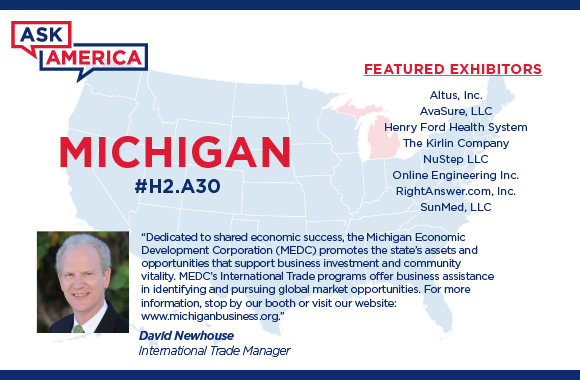 Visit the Pavilion on-site in Halls 1, 2, 5 and 6, Za'abeel 3 and the USA Information Center on the Main Concourse to find American suppliers who can help you gain a competitive advantage in any market sector anywhere in the world. Come back often to check the latest industry headlines from our media partners — and join the #USPavilion conversation at #ARABHEALTH with our live Twitter feed. ACell is pleased to announce the recent launch of Cytal® Wound Matrix and MicroMatrix® in Canada, with future global expansion planned for wound management devices in 2019. In addition, recently published data for ventral hernia repair showed promising long-term results using Gentrix® Surgical Matrix devices, which is expected to propel global growth in the hernia market. Visit acell.com for more information or to learn about joining our distributor channel. Advamedica a med-tech startup is healing surgical wounds, without the trauma. Axio Biosolutions, backed by Accel, IDG and Ratan Tata's UC-RNT, is set to disrupt the market for gauze and surgical tapes with a novel polymer-based product. For years, gauze has become quite an integral part of wound care treatment. Having spotted a gap in the wound care sector, med-tech start-up Axio Biosolutions is soon going to launch a first-of-its-kind. AWC Organizational Members benefit from AHIMA expertise in the areas of CDI, medical coding and data analytics. Our experts perform a customized gap analysis to identify opportunities to increase CMI, DRG relative weights, SOI/ROM scores and to decrease LOS, internal queries, denial rates and audit challenges. Taking a critically ill neonate to the MRI has been too dangerous until now. It is impossible to hand ventilate a baby way inside the MRI. The new pNeuton Mini transport ventilator provides complete, safe respiratory support with remote alarms in case of disconnection or high pressure. The ventilator can be placed right next to the MRI and will not create image distortion. See Airon Corporation for details. An American nutraceutical company headquartered in Seattle, Washington which manufactures and distributes natural products and dietary supplements. Established in 2007, AMS has become a leader in its industry under the leadership of it’s management team that has over 3 decades of combined experience in Pharmaceuticals & Natural Health products. That, along with a dedication to producing high quality products has allowed AMS to rapidly expand its scope of business across all major continents. For nuclear and radiological emergencies, U.S. HSS announces work with Argentum Medical. As a pioneer of silver technology, the privately held company has been awarded a three-year, $8.4 million contract with the Biomedical Advanced Research and Development Authority (BARDA), part of the HHS Office of the Assistant Secretary for Preparedness and Response (ASPR). This contract will look at the potential use of its Silverlon technology for use for low-grade and severe skin radiation injuries after a radiation emergency. For additional information, click here. Arnet Pharmaceutical Launches “Dr. Max, Cognitive Line” focus on boosting energy and relaxation. Arnet Pharmaceutical Corporation launched its Cognitive Support Line, Dr. Max, focusing on enhancing energy, concentration, memory, relaxation and restful sleep to support a healthy mind and body. The AvaSys TeleSitter solution from AvaSure is now a standard of care for patient safety and telehealth services in the United States’ largest and most prestigious healthcare systems. Six of the top seven hospitals on the U.S. News and World Report Honor Roll of best hospitals use AvaSys, as do nine of the 10 largest health systems. AvaSys is deployed across the entire system at Mayo Clinic, Ascension and eight other large national provider organizations. We know the examination couch is a key piece of equipment in the clinical space; it is the epicenter of the patient and clinician experience during exams. Brewer’s feature rich exam couches will keep patients comfortable, clinicians efficient and providers safe. Our award winning exam couches were the first in the industry to introduce the important features clinicians value highly today, such as: pass-through storage drawers, large steps, low wheelchair accessible heights, and higher weight capacities. Bariatric surgery reverses obesity and type 2 diabetes in patients with both conditions. Researchers at Brigham and Women’s Hospital have found a less invasive, potentially equally effective treatment for reversing type 2 diabetes. Results from a preclinical study were reported in Nature Materials. A substance that temporarily coats the intestine to prevent nutrient absorption was delivered via pill, helping to avoid spikes in blood sugar. ‘Surgery in a Pill’ holds promise for millions of people. High-quality illuminance, user-friendly dimming and focus controls combined with an arm and mount system that allows precise positioning and maximum flexibility and reach. Visit www.burtonmedical.com for additional information. California's Leading Cancer Institute and Center of Excellence for Bariatric & Metabolic Surgery. Advanced technologies and a patient-focused approach for the treatment of cancer and obesity. Community Medical Centers is leading the way with unparalleled expertise, technology and a commitment to excellence. Our state-ofthe- art programs for treating cancer and overcoming obesity are led by world renowned physicians. Fresno Heart and Surgical Hospital’s Center of Excellence in Bariatric & Metabolic surgery is continually recognized in the top 10% in the United States for clinical outcomes while our Community Cancer Institute offers the most innovative technologies and approaches for comprehensive cancer care. Corvus Health is helping Honoris United Universities, the largest private university system in Africa, expand their programs. Honoris has 10 institutions and 58 campuses in 9 African countries including Morocco, Tunisia, Mauritius, and South Africa. With the global shortage of health workers, there is a huge demand from students and employers for more health worker education programs. Corvus Health has also advised on the world class medical simulation centre in Tunisia that will offer cutting-edge services. For additional information, click here. We have been recognized as a leader in cancer care workforce services. We redesigned the Tata Trusts’ oncology care team (India) leading to large-scale implementation of the suggested model and more efficient patient care. Our workforce specialist Natasha D’Lima presented this at the World Cancer Congress 2018. Corvus was also honored to organize the African Cancer meeting’s health workforce session and Corvus Kenya Country Director, Dr. James Mwanzia presented on the regional cancer health workforce. Many highly qualified nurses from Northern Africa would like to work in the US or Europe, but lack the language skills or experience in US and European hospital settings. Corvus Health is breaking down this barrier by connecting North African nursing schools such as Universite Centrale in Tunisia with schools and employers in the US and Europe to form programs that give North African health workers the skills they need to work in advanced hospitals. For additional information, click here. We have recently signed a contract to recruit specialty physicians and nurse managers for HMG hospitals. Our CEO, Dr Kate Tulenko, says “We’re thrilled that our expertise in recruitment has been recognized and are honored to work with the HMG. We are designing a tailored recruitment plan to meet their needs as quickly as possible. Not only will we find the right professionals, but we will ensure the credentialing process moves as smoothly as possible. For additional information, click here. Corvus Health has been contracted to recruit health workers for an ambulatory centre that the Alfardan Group will open in mid-2019 in conjunction with US-based Northwestern Memorial Hospital. The new ambulatory centre will be located in Doha and will offer international quality ambulatory care to its patients in a luxury setting. The excitement around CAR T-cell therapies for cancer has been growing for quite some time now. After numerous studies and clinical trials, these therapies, made from genetically modified immune cells, have been generating promising results. Specifically, more than 80 percent of patients with acute lymphoblastic leukemia (ALL) and nearly half of patients with B-cell non-Hodgkin lymphoma (NHL) have achieved remission thanks to CAR T-cell therapy. Del Medical proudly introduces the new OTC18 and FMT18 series of radiographic imaging solutions. America made with the highest quality workmanship to withstand any imaging department's demands. DryPro™ by Dry Corp, a high-quality surgical rubber sleeve that fits over casts, bandages, Ostomies, PICC lines and prosthetics, offers complete waterproof protection. Its patented vacuum seal assures that a cast or bandage will remain dry, even when submerged in water. For addition information, read the press release here. Dynatek Labs has led the world in medical device testing for almost 35 years. From the introduction of the industry gold standard M6 heart valve tester in 1984, to the current acute particulate tester optimized for stent, catheter and balloon testing, we continue to innovate. Dynatek offers customized testing equipment, contract testing services, expertise in relevant standards, and precision mock vasculature. Easy grip loops allow for unlimited exercise options! CanDo® Multi-Grip™ Exercisers have large and small loops built right into the exerciser. Loop around hands and feet to perform high impact upper and lower body exercises. These exercisers are available in eight color coded resistance levels. They are machine washable / dryable and contain no latex, no scent, and no powder coating. Exercisers are available in individual packs and bulk rolls, for home and clinic use. Click here for additional information. New wireless otoscope and dermatoscope models can now talk to the iPhone and iPad. Firefly Global now offers iOS compatible wireless versions of their award winning otoscopes and dermatoscopes. Not only has Firefly expanded their list of supported platforms, but the new devices (models DE370 and DE570) also tout HD image resolution. 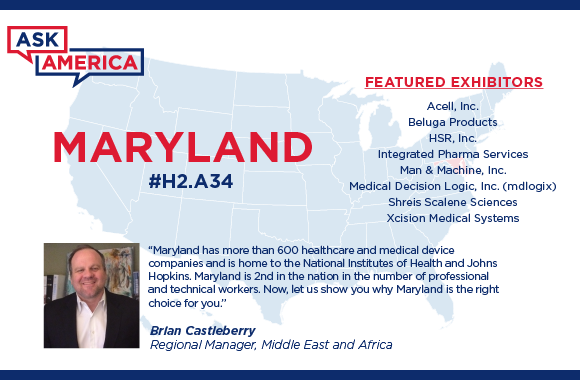 Arab Health 2019 will be the first international show where these devices will be widely available and a live demo can be seen at booth H1.B11 in the USA Partnership Pavilion. GCX Corp., the leading provider of medical instrument and IT mounting solutions, will exhibit its Patient Engagement Table at Arab Health 2019. The table won the 2018 Silver Healthcare Design Product Innovation Award. The annual competition recognizes product manufacturers with the most innovative products used in healthcare environments. The GCX Patient Engagement Table now has an integrated VHM-T tablet mount and a variety of accessories so bedside patients can safely and easily use a tablet. Exporting brand new medical devices from all the top OEMs at a fraction of the suggested price. GeoSurgical does not require contracts, minimum quantity purchases, or lead times. We are committed to providing the best customer service experience possible. Laparoscopic, Orthopedic, Suture and General surgery products are only some of the specialties we work with. We are a great resource for wholesalers and physicians with direct shipping to every corner of the globe. With over 18,000 different OEM reference numbers to choose from, contact us today. Announcing the Official Launch of Global Medical Services! Four Divisions, One Goal: Global Solutions for Healthcare Access. Officially launching Global Medical Services (GMS) at Arab Health! GMS, located in Minnesota, leads in providing accessible healthcare worldwide, approaching it in a way no one else is; the patient, provider, government regulations, systems. For patients seeking concierge-style healthcare in the US, GMS provides destination health services. 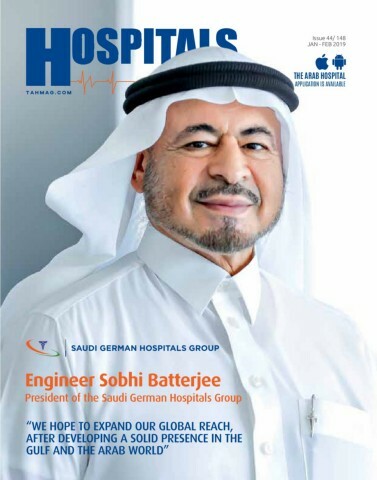 For governments/businesses seeking a hospital build/management strategy, GMS builds hospitals and manages operations worldwide. For providers serving patients without access to nearby physicians, GMS brings treatment through telemedicine. Hans Rudolph, inc. is a leading designer & manufacturer of respiratory products in the world today. 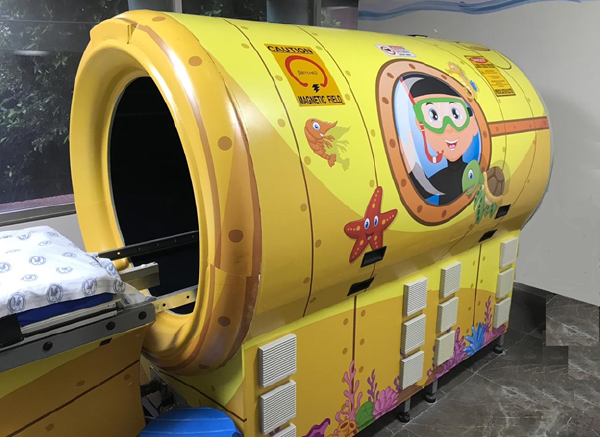 Their innovative research and development is helping bring the field of Respiratory Healthcare into the twenty-first century. In addition to their full catalog of products Hans Rudolph, inc. offers custom designs for Original Equipment Manufacturers(OEM)and Retail(end user)Customers. New $155 Million cancer center announced. Our cancer program is one of the largest in Michigan. We treat nearly 5,000 new cancer patients each year. And that number continues to grow. Nationally, cancer cases are expected to increase 20 percent by 2025 - and 40 percent by 2035, according to the Institute of Medicine. To address this growing need, the Brigitte Harris Cancer Pavilion is being built adjacent to Henry Ford Hospital. The 6 story, 187,000-square-foot Brigitte Harris Cancer Pavilion is set to open in Early 2020. Holland has been providing comprehensive engineering-driven solutions to its partners for over 80 years. As a trusted service and product provider to the rail industry across the globe we provide unique, customized solutions for a range of manufactured equipment. Based in the USA, our collaborative approach to mobile medical refurbishment provides you with a range of cost-effective, quality options that ensure your trailer leaves on time and like new. ISO 9001 Certified. Innovia Medical combines the experience and expertise of Shippert Medical, Summit Medical, Network Medical, and Eagle Labs to offer a wide range of products in the ENT, Plastic and Cosmetic Surgery, and Ophthalmology fields. Innovia Medical family of companies share the goal of helping our medical professional partners elevate the delivery of care to improve patient outcomes. 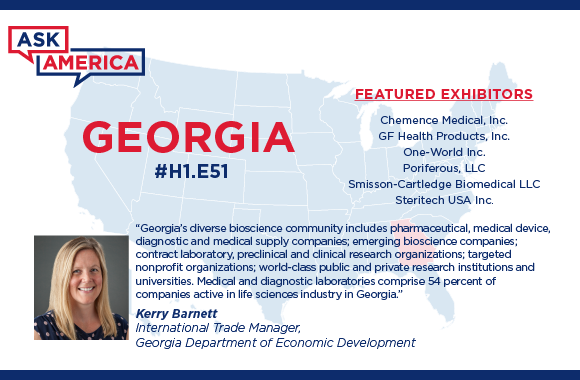 InteGen is a diagnostic reagent manufacturing company and developed innovative DNA probes with clinical applications in cancer genetics, miscarriages, prenatal diagnoses, and IVF. We offer multi-color interphase chromosome profiling and InstaFISH with 15- minute hybridization. Our multiplex approach provides guaranteed and comprehensive results than other genetic testing methods. Our products can be used in invasive and noninvasive prenatal and cancer testing. Using our breakthrough technology, IVF clinics can offer fresh embryo transfer and in-house PGTA testing. For additional information, click here. IPS, Frederick, MD, USA. 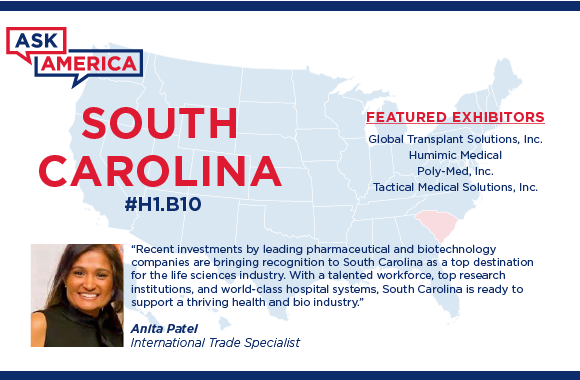 A Reliable Partner to its customers with expertise for advancing diagnostic and therapeutic products and provide consultation services to help position candidate products for entry into to the US market. Unique scientific expertise, Ph.D. level scientists and customized approach for each client, results in high quality scientific data which lead to improved and faster product development. IPS offer regenerative medicine products for wound care and disinfectants through their partners. Visit booth H1.C79 to see the latest solution in infant warming support. As International Biomedical continues to provide the latest solutions in infant care, we are pleased to welcome the NuBorne 500 Infant Warmer. The NuBorne 500 is an affordable, feature rich microenvironment that provides dependable thermoregulation for the infant and allows a high level of care with a low cost of ownership. This USA manufactured product for use in the NICU, L&D and birthing centers facilitates the proven clinical practice of kangaroo care. For additional information, click here. Staff Can Stay Warm in Cold Operating Rooms or Any Cold Environment. The Insulating vests are worn by staff over upper scrubs and under scrub jackets or surgical gowns. The insulating vest can be worn over a warming belt retaining heat generated by the belt powered by batteries or electric source. The insulating vest can also provide heat with Air Activated warming packs placed in the inside pockets. This vest is ideal for people who need to move around. Warming packs provide 65C-50C temperatures up to 12 hours. Mounting evidence indicates a correlation between the physical environment in which a patient receives care, the safety and the quality of that care. Our products help maintain a safer physical environment. Our Surgeon’s Scrub Sink made with antimicrobial copper-nickel alloy surfaces (a new tool for healthcare infection control), Clinic Sink with a full flushing rim (more force with less water) and a “hands-free” Wall-hung Lavatory package (for environments requiring less contact with hard touch surfaces). A completely new type of sphygmomanometer! Like a traditional sphyg, the FAST Sphyg is used with a Doppler or stethoscope to obtain systolic blood pressures. Unlike traditional sphygs which require pumping a bulb to increase cuff pressure, FAST reduces hand and wrist strain by inflating the cuff using Koven's exclusive push button inflation mechanism, which increases cuff pressure with a built-in battery operated pump. FAST's trigger deflation method is easier to control than knobs, which need to be turned. DermaLight 532 aesthetic laser treats vascular/pigmented lesions. Sapphire dental laser treats hard/soft tissue. LIGHTMED has been in the medical laser business for 20+ years, focused primarily on the ophthalmology field. In recent years, LIGHTMED has taken its core laser technology and adapted it for a wide range of dental and dermatology applications. Sapphire and DermaLight 532 have been selling in Asia and the USA. Now, LIGHTMED is proud to announce these lasers are available globally. Lutech's modern redesign delivers innovation, precision, and performance in one sleek package. Discover the power and accuracy behind the most flexible series of multiparameter patient monitors and digital colposcopes. 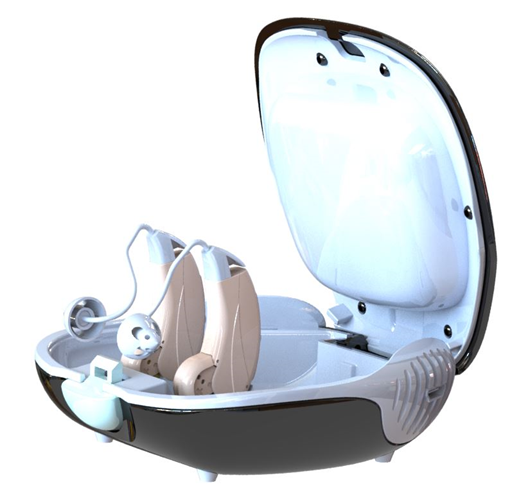 MagicEar is releasing a new series of next generation hearing devices! Available direct to consumer, private label or sold in kits to manufacturers internationally. MagicEar provides the ultimate in advanced hearing aids and hearing protection devices using state of the art technology, in-house expertise and superior manufacturing practices to design and develop products for the benefit of our consumers and partners. MagicEar has developed a series of new hearing aids that will be sold on the global market starting in Q1, 2019. These sleek and discreet hearing devices can also be connected via Bluetooth to an individual's mobile phone. 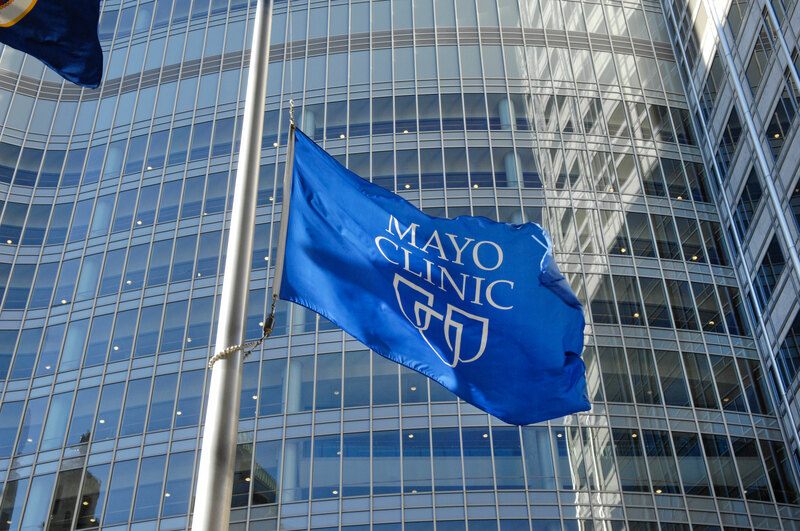 Mayo Clinic Ranked #1 Hospital in the U.S.
Mayo Clinic is ranked the best hospital in the United States in U.S. News & World Report’s 2018-19 “Best Hospitals Honor Roll.” Mayo Clinic ranked No. 1 in six specialties: diabetes and endocrinology, gastroenterology and GI surgery, geriatrics, gynecology, nephrology, and neurology and neurosurgery. More than 1.3 million people from about 140 countries turn to Mayo Clinic for diagnosis and treatment each year. Click here to learn more. Sidra Medicine in Qatar enhances their Neonatology Unit with the HeRO monitoring. HeRO predictive analytics deployed for improved patient care at Sidra Medicine. Medical Predictive Science Corporation (MPSC ) is proud to announce that Sidra Hospital in Qatar has recently purchased HeRO Solo Systems to help better equip their hospital staff in identifying risks to neonatal infants. MPSC is a leading predictive analytics company turning data into better healthcare. The HeRO System aids the clinician to earlier identify neonatal conditions such as infection and sepsis. Our family of OmniForce® braces and supports are made of a premium flat-knit fabric featuring more accurate and comfortable compression in specific areas. Plus, the fabric moves with you for better support and all-day comfort. Better yet, the low-profiles means you can wear OmniForce® products under your clothing. 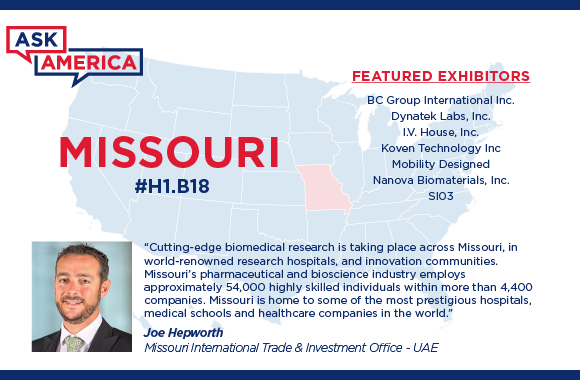 Nanova Biomaterials, Inc. is an innovative surgical implant manufacturer based in Columbia, MO, USA. One of our premiere products is the Vas-Q-Clip, a non-absorbable polymer ligation clip intended for use in surgical procedures involving ligation of vessels or tissue structures. The Vas-Q-Clip has an innovative inner tooth design to improve migration resistance (parallel clip pull). We are interested in forming international partnerships and relationships with distributors that carry similar products. Nova Biomedical is pleased to announce the launch of the new Stat EMS blood testing system for ambulance and emergency care in CE marked countries. Stat EMS measures lactate, glucose, ketone, hemoglobin, and hematocrit from a capillary sample in six to 40 seconds with lab-like accuracy. Stat EMS combines Nova’s existing StatStrip Glucose/Ketone meter and new StatStrip Lactate/Hematocrit/Hemoglobin meter in a new, compact, and rugged carrying case for mobile testing in the field. NOVAPROBE UHDCAM4K providing innovative care at affordable price for Endoscopic Surgery. NOVAPROBE has launched the World’s 1st Fully Embedded 4k Camera system for Endoscopic Surgery - UHDCAM4k . The camera system has the smallest foot print in 4K surgery eliminating the multiple equipment that are currently being used to perform endoscopic surgery. NOVAPROBE UHDCAM4k has the ability to record patient information with capture images & record videos at 4K resolutions. UHDCAM4K provides a Pre-Programmable camera that uses the touch interface for adjusting camera parameters. NuStep, LLC, makers of the original sitting stepper, work with professionals to create new products. Physio therapists are among NuStep’s most enthusiastic “advisors,” and through the years, their feedback has had a direct influence on how they refine existing products and develop new products. As the healthcare environment evolves, NuStep enforces their commitment to keep pace with the changing landscape by bringing physio therapists on staff. Their roles as Market Intelligence Strategist are to collaborate with clinics to ensure that NuStep’s new product innovations are addressing market and customer needs. One-World Provides an Ethical and Efficient Connection Between Patients and Their Treatment. One-World was founded in 2001 and has long established relationships with, Pharmaceutical and biotech manufacturers, Specialty pharmacies, Leading national distributors. 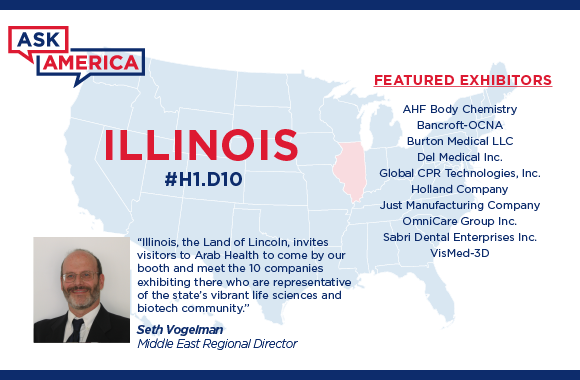 We proudly offer complete lines of Specialty pharmaceuticals, Innovative biologics, Orphan drugs, Controlled Drugs and Nutritional supplements in over 100 countries. Secure sourcing that has been vetted and audited. Prompt courteous responses to your requests in many different languages as German, French, Spanish, Portuguese, Russian, Polish, and English. A prompt and accurate response to requests for quotations including product information, pricing and availability within 24 hours during normal customer service hours. Excellent pricing thanks to our manufacturer and distributor agreements. Orders that are always confirmed, consolidated, and checked for accuracy prior to shipping. The concentrated efforts of our experienced staff to assure that your order arrives on time, in excellent condition, and meets or exceeds your expectations. 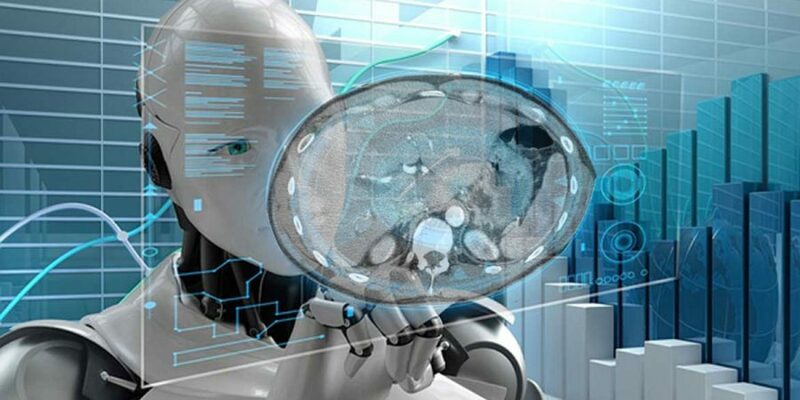 PaxeraHealth has developed an artificial intelligence (AI) module integrated with its PaxeraUltima PACS. PaxeraAI™ learns from radiologists via a chatbot-like interface, analyse data and suggests meaningful outcomes. The anonymized data is added to the PaxeraAI™ database, accessible to all PaxeraUltima PACS users. With 2,500 installations, the company expects the PaxeraAI™ database to grow quickly. PaxeraHealth is currently cooperating with a number of teaching institutions and hospitals around the world to implement the new PaxeraAI™ module. Distributors of direct from manufacturer Medical Equipment, Orthopedics, Wound Care, and more. Creating partnerships with clients to improve recovery process & well being of the community. An industry leader in distribution of medical and rehabilitation products. Uniquely positioned to meet the needs of our clients abroad. 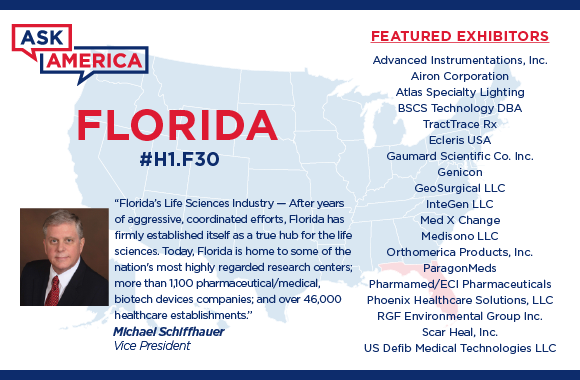 Extensive network of manufacturers and distributors - many are US based - allow us to provide access to all phases of medical equipment and supplies. An ecosystem where health care providers can procure all of their healthcare needs under one umbrella. RADIOLOGY-Planning (RAD-Planning) has entered into a MOU with Al Kayan / Seha Healthcare of Jeddah. RAD-Planning, the premier international consultant / developer of medical imaging is entering into an agreement with Al Kayan / Seha Healthcare to work collaboratively on radiology and medical imaging projects in Saudi Arabia, and throughout the MENA region. This new office location will help RADPlanning better serve clients and development partners in the Jeddah area, throughout the Saudi Kingdom, and the MENA region. RAD experts develop US government hospital radiology / nuclear medicine design standards. RADIOLOGY-Planning (RAD-Planning) develops new imaging services (radiology, nuclear medicine, and MRI) design standards for US Department of Veteran Affairs Hospitals. Chosen in a national qualifications-based competition, RAD-Planning is developing space planning, equipment planning, workload calculations, and design guidance for imaging facilities for the US VA healthcare system. The project updates guidance now over 12 years old, incorporates new acuity and interventional criteria, and updates technical criteria based on new imaging equipment and clinical applications. RAD experts develop new FGI international imaging design standards. RADIOLOGY-Planning (RAD-Planning) principal lead development of new hospital / outpatient imaging. RAD-Planning principal, Tobias Gilk, served as co-chair of the Imaging Task Group for the Facilities Guidelines Institute (FGI) 2018 Guidelines publication. The 2018 document developed new standards that accurately reflect imaging’s growing use as for intervention, and increasing higher-acuity patients. The 2018 Guidelines, and their included expertise, help facilities plan hospitals, imaging centers, and polyclinics that respond to 21st century clinical demands. RAD-Planning experts bring a custom-tailored level of expertise to their clients and projects. RUMEX turns 25 – our story just begins! For 25 years RUMEX has been providing the most sustainable quality of reusable instruments for surgical ophthalmology and cardiovascular and thoracic surgery. The range of products comprises cutting edge stainless steel and titanium instruments, including anterior segment instruments, vitreoretinal instruments, cannulas. We successfully produce and sell the top quality consumables – IOLs, Lens Injection Systems, Silicone Oil, OVDs. RUMEX provide extensive distributors support all over the world. New distributors are always welcome! The Communicator mask with a clear window is an FDA approved FM2100 ASTM Level 1 mask designed to facilitate communication by allowing more facial expressions to be seen. New ScottCare's Waterproof novi+ Patch Holter Records 14 Days of 3 Channel ECG. Monitors adult, pediatric & neonatal patients with the same device. 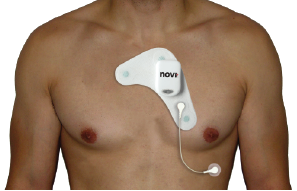 The novi+ patch Holter is easy to apply waterproof device with high patient compliance. Provides scans with low artifact due to single patch design that will last the full 14 days of recording as needed. The novi+ patch Holter can use the feature rich HolterCare diagnostic software just like the other holter devices from ScottCare. Being part of the CVDX product suite the Holter program can share a common report repository Cardiofile and a common HL7 EMR interface. 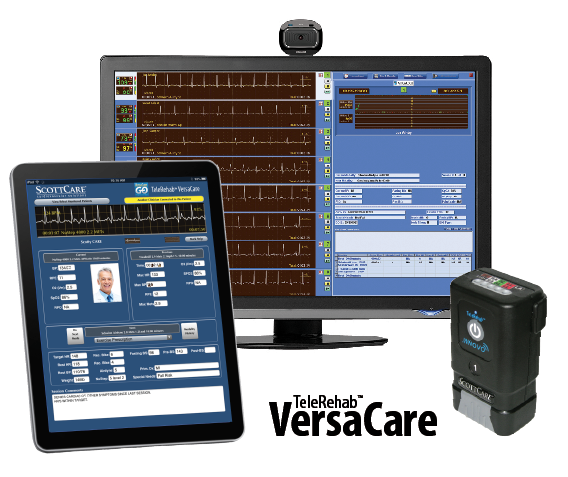 VersaCare is the industry’s leading multiparameter telemetry solution for cardiac rehabilitation. Nearly 70% of the Rehab Departments throughout the USA trust VersaCare to monitor their patients. VersaCare is the industry’s leading multiparameter telemetry solution for cardiopulmonary rehabilitation. Nearly 70% of the Rehab Departments throughout the country trust VersaCare to improve and simplify the process of providing the specialized care so crucial to the survival of cardiac rehab patients. At SeaSpine, we believe spine surgery patients should easily benefit from the most advanced scientific knowledge and technology available. That’s why our expert team collaborates closely with leading spine surgeons, global distributors and other partners on the cutting edge of spinal solutions. From research and development, to product design and engineering, to commercialization and distribution – SeaSpine’s product portfolio is dedicated to restoring mobility and quality of life to patients. SeaSpine focuses 100% on designing, developing and delivering the most advanced and effective spinal surgery technologies worldwide. Closely collaborating with spinal surgeons, our highly experienced medical device experts have engineered a leading portfolio of orthobiologics and spinal-fusion hardware. SeaSpine is committed to constant innovation – to help spine surgeons operate more easily and to return patients to active lifestyles after surgery. SeaSpine, listed on the Nasdaq Global Market ("NASDAQ") under the symbol "SPNE" is a global medical technology company that focuses on the design, development and commercialization of surgical solutions for the treatment of patients suffering from spinal disorders. We have a comprehensive portfolio of orthobiologics and spinal fusion hardware solutions. Originally founded in 2002 and recently spun off and made a publicly traded company, SeaSpine is expanding rapidly in our 81,000 square-foot, ocean-view Carlsbad, CA Headquarters. Our manufacturing site is located in Irvine, CA. Shreis Scalene Sciences installs two Cytotron devices in Mexico City for cancer trials. Clinical trials ongoing at Pediatric Hospital (HIM) and SSA Hospital (ISSSTE) in Mexico City. materials. By offering premium branded and private label masks to a wide-range of patients in over forty countries, Sleepnet Corp. is a globally-recognized mask solution provider to leading brands and institutions across the world. Pharmaceutical serialization & traceability portal, we handle integration with your ERP, no more stress ! iBreastExam (iBE) is an innovative, handheld medical device designed to provide a quick, painless and radiation-free breast exam at the point-of-care, with instant results. iBreastExam recently launched commercially in Oman with the support of Oman Health Ministry and Oman Cancer Society, and the next stop is the UAE. Reducing the number of deaths due to cancer is one of the key performance indicators of the pillar of world-class healthcare of the UAE National Agenda. Read more in the NY Times. US Defib Medical Technologies LLC. Providing technology and smart solutions to save lives. US DEFIB has significantly contributed to the advancement of modern medical treatment with many innovative products and technologies. US DEFIB manufactures two kinds of Defibrillators: The Biphasic Defibrillator Monitor and The Automated External Defibrillator. VISTAMATIC® vision panels have been used in hundreds of hospitals, medical facilities, high-security environments, universities and corporations worldwide - renowned for simplicity, durability and refined aesthetics. Fully customisable and with a lifetime warranty, VISTAMATIC® will be exhibiting a selection of industry-leading products, including Clarity, the next generation in glass privacy. VISTAMATIC® also manufacture the BetweenGlassBlinds range, fully integrated, maintenance free Venetian and pleated blinds hermetically sealed between two panes of glass. Go to www.vistamatic.com to find out more about the company. Brochures and technical information are available from the download tab on the home page. Product information is here. You can read more details on the Clarity system here. Find out more about Between Glass Blinds here. In a 3-month study, PreDia® was shown to lower the typical markers associated with prediabetes. PreDia® contains GSECM-50, a source of the scientifically proven dosage of Abscisic acid (ABA), made of Grape seed extract, chromium and magnesium. Original findings observed that ABA has a interesting correlating effect with glucose levels in the blood. High glucose concentrations stimulated the release of ABA from β-pancreatic cells. A three-month clinical study was performed with PreDia® where it showed patients experienced lower Fasting glycemia, HbA1c, total cholesterol levels, and body weight & waist circumference. New to the portfolio are our integrated software solutions – featuring distinguishing tools for Debriefing, Real-Time Remote Viewing and Device Readiness Management – as well as the Z Vent transport ventilator, for pre- and intra-hospital use. At Arab Health you will have the opportunity to experience our new solutions along with our established portfolio of High-Quality CPR devices. Test your skills by taking the ZOLL Challenge at booth H1.G19.